Dolores Eberly of Monclova, Ohio went home to her Savior Jesus Christ, on March 20, 2016, at Hospice of Northwest Ohio, Perrysburg. Prior to moving there, she was a resident of The Lakes of Monclova. Mom was born September 9, 1918, to Frank and Minnie (Gladieux) Baker. She graduated from Waite High School. During her early working years she was employed by the B. R. Baker Co. selling boys clothes. There she met her husband, John. They were married in Sacred Heart Church on October 21, 1943 and she settled into life as a wife and mother. She and dad bought a farm in Monclova Township that they named Bittersweet because some days are bitter and some days are sweet. There the family raised Yorkshire hogs and later Percheron Draft Horses which dad, and later her son and grandsons, showed in various competitions. They also had a farm in Coshocton County where they grew much attached to the Amish community. She went back to work in her later years and retired from an office position at Team Sports. Mom was devoted to her family, with 6 children; 17 grandchildren; 36 great-grandchildren and two more that are on their way. She never missed a birthday, a First Communion, a wedding or any other event, right up to two weeks ago for a wedding shower honoring her future granddaughter, Maria, who will be married to grandson John Kanney in May! All you had to do was invite her and she would be there. She was an amazing mother and grandmother. Her grandchildren have fond memories of Grandma Dee! In her leisure time she was a docent at the Wolcott house and loved showing the house to children of all ages and teaching the history of the Maumee Valley. She also belonged to three bridge clubs and enjoyed playing euchre at the Senior Center. She is survived by her sons, John (Patricia) Eberly, Jr., Fred (Ann) Eberly, Bob (Carol) Eberly; her daughters, Peggy (Steve) Murawski, Ginny (Mike) Bonnough and Sue (Ed) Kanney; 17 grandchildren; and 34 great-grandchildren; her sister, Eileen Trawinski; sister-in-law, Rita Baker; and numerous nieces and nephews. She was preceded in death by her parents; husband of 45 years, John C. Eberly; brothers, Bernard and James Baker; sisters, Thelma Baker, Virginia Dunn and Bernice Langenderfer; and in-laws on both sides of the family. She also mourned the loss of her son-in-law, Ed Kanney; and two great-grandchildren, Gabrielle Eberly and Daniel Murawski. Mom’s children would like to thank the caregivers of both Hospice of Northwest Ohio and the Lakes of Monclova for their love and compassion in mom’s last days. Memorial donations may be made to St. Joan of Arc Catholic Community or Hospice of Northwest Ohio. Saturday, March 19, 2016, Thomas J. Puhl aged 70 departed this world to be united with our Father in Heaven. Tom was born May 19, 1945, to Louis Joseph Puhl and Viola Josephine (Borck) Puhl. A Maumee native, Tom graduated from Central Catholic in 1963 and promptly joined the United States Air Force to further his education in his childhood hobby of electronics. Tom proudly served our country for 2 years, working on military aircraft after completing Division 54 Electrical Technician School at Homestead Air Force Base in Southern Florida. Tom returned to Maumee after the military and married Sharon Ann (Guhl) Puhl in 1967. The Puhl’s put down roots in Springfield Township where they raised two children together. Very often you would see Tom outside, somewhere down the block, planting a tree, building a fence or creating a nature garden. He would often work tirelessly at helping out a neighbor, friend or anyone that could utilize his vast knowledge and skills. Tom’s career over the years spanned many different trades, finally settling into Senior Electrical Designer for Clarke American Lincoln where he holds several electrical patents. During Tom’s retirement, if he was not spending time with his grandsons, he could simply be found in his well cared for backyard, resting in his hammock. Surviving him are his wife of 48 years, Sharon Ann Puhl; children, Kerry Anne and Thomas Joseph Puhl II; grandsons, John Thomas and Alexander Joseph Zappone; sisters, Carolyn Reimer, Patricia (Nelson) Pfleghaar, and Virginia Puhl. Also surviving are many nieces, nephews, cousins and canine companion, Daisey Mae. He was preceded in death by both parents; infant brother, David Louis and sister, Laura May Puhl. (News story) Thomas J. Kranz, whose diligence and success as an agent for the former Equitable of Iowa Insurance Co. were consistently recognized by his industry, died Monday in Hospice of Northwest Ohio, Perrysburg Township. He was 90. He had some health problems, his son Tim said. Mr. Kranz, a resident of Sylvania, worked until about 15 years ago. “He had a wonderful business sense and the wherewithal to stay in business for that many years, the ability to communicate and work with the clients,” his daughter Betsy said. Early in his career, in 1962, Mr. Kranz was named Equitable of Iowa’s outstanding man of the year in the country. In the 1980s, he received Equitable of Iowa’s Hall of Honor. A chartered life underwriter, he was a life member of the Million Dollar Round Table and was a member of Court of the Table, insurance industry designations. In addition, he worked many 70-hour weeks, his son said. “He took a lot of pride in knowing he was excelling at his trade and helping people at the same time and also providing a good living for his family,” his son said. They were partners for a time in Kranz and Kranz insurance brokers. After returning from Marine Corps service in the Pacific Theater, Mr. Kranz was a draftsman and sold supplies for Toledo Blue Print & Paper Co.
“He saw the opportunity for making more money in the insurance business, because the family was getting bigger and bigger,” his son said. Mr. Kranz was born April 4, 1925, to Marguerite and Ben Kranz and grew up in South Toledo. He was a 1942 graduate of Central Catholic High School. Communications was his duty in the Marines, which meant that he drew enemy fire while trying to put up phone lines. He received a Bronze Star for valor shown during the battle for Sugar Loaf Hill on Okinawa. He also saw action on Iwo Jima and took part in the liberation of Guam. “It was very difficult for him to talk about it,” his son Tim said. Nearly a decade ago, he and other veterans went to battle sites in the Pacific Theater for a documentary about the war and their part in it. Mr. Kranz grew up in Immaculate Conception Parish, and was a member through the years of Our Lady of Perpetual Help, St. Ann and, most recently, Corpus Christi University Parish. He visited the ill and homebound and also was a volunteer with the St. Vincent de Paul Society. “He was very service-minded,” his son said. His youngest son, Ted, died June 5, 2010, in the tornado that tore through Wood County’s Lake Township. The elder Mr. Kranz was formerly married to the late Mary E. “Betty” Kranz. Surviving are his wife, Betty J. Kranz; sons, Thomas J., Jr., Tim, and Terry Kranz; daughters, Cathy Fulton-Dzienny, Bonnie Yamano, Carol Potter, and Betsy Villarreal; stepdaughter, Mindy Nottage; stepson, Russ Wumer; sister, Agnes Hollister; 22 grandchildren; six step-grandchildren; 25 great-grandchildren, and four step-great-grandchildren. Visitation will be from 2-8 p.m. Thursday in Coyle Funeral Home, with a recitation of the Rosary at 7 p.m. Funeral services will be at 10 a.m. Friday at Corpus Christi University Parish. The family suggests tributes to Hospice of Northwest Ohio. This is a news story written by Mark Zaborney. Contact him at mzaborney@theblade.com or 419-724-6182. Gene, 90, passed peacefully at his home on 2-27-2016. He was the youngest of seven children born to Rose (Gomolski) and Leo Czarnecki. Gene always had a positive outlook on life. When told that his cancer was back, he said, “Well, we’ll play with the cards we’ve been dealt.” It was this upbeat attitude that made him pleasant to be around. Dad loved being outside, puttering around the yard and tending to the many rose bushes around the house. Growing up with a family-owned bowling alley, “You learn to do things great – not just well.” His family was rated the #1 bowlers in the Toledo area. When he arrived at Central Catholic High School as a freshman, he was asked to be in charge of the CCHS bowling team. He finished college at UT after a stint in the Air Force. While in the service, he had the opportunity to travel all over the United States by train. Gene started his working career in downtown Toledo at Gulf Oil, where he met his wife Polly (divorced in 2002). Gene and his family lived in Toledo, Fremont, and Perrysburg. He enjoyed working as an accountant in northwest Ohio and Michigan, most recently at Shugarman’s Medical Supply Company. Gene was an avid bowler, played on several teams, and earned many trophies and awards. He enjoyed golfing, playing cribbage and pinochle and helping others; he worked hard and played hard too. Gene is survived by his two daughters Rebecca “Becky” (Ted) Almquist and Roberta “Bonnie” Czarnecki and many nieces and nephews. He was preceded in death by his parents, his infant daughter Elizabeth Margaret, brothers John, Edward and Melvin, and sisters Irene, Florence Kulakoski and Vivian Jachimiak. Gene’s family would like to thank Hospice of Northwest Ohio for their help and attention given to Gene’s care during his time as a patient with them. Thanks also go out to friends and loved ones for their time, meals and prayers for Gene and his family. A Memorial Mass will be said at St. Rose Catholic Church, 215 East Front Street, Perrysburg, Ohio, on Saturday, March 19, 2016, at 10:30 am. In lieu of flowers, please consider a donation to Hospice of Northwest Ohio, 30000 E. River Rd., Perrysburg, Ohio 43551, or Maumee Valley Save-A-Pet, 5250 Hill Ave., Toledo, Ohio 43615. 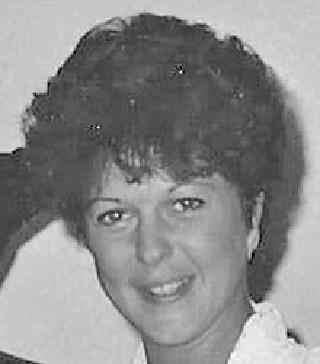 Karen S. Kernes, 58, passed away peacefully on February 18, in her Home in Phoenix, Arizona. She was born on November 11, 1957 in Napoleon hospital to Harmon and Joyce Kernes. Karen was a graduate of McAuley High School and major in Art and Music at Western State in Gunnison Co. Karen had a passion for art and music and was very talented. She was proud of her baby grand piano. She is survived by her mother, Joyce Kernes; brother Leo (Butch) Kernes; her sister, Theresa Woods; 5 nieces; and one grandnephew. She will be missed greatly. The Family request any donations given to American Cancer Society . A Mass will be held in memory of Karen on March 13, at 10:30 a.m. at St. Joseph, 5378 Main St., Sylvania, OH.